HOLD ON! 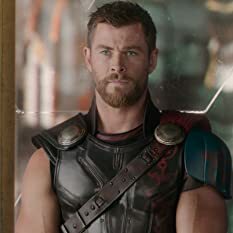 before you click "unhelpful" let me just say that this movie is great and easily the best in the Thor trilogy however it does have flaws and that is why it is not 10/10. The comedy in this is really great and I like the overall feel of the film, there is a big difference in the plot compared to the other two that makes this film feel much more fresh and enjoyable. However there are pacing problems, some of the actors seem stilted and dull (especially the grand master). The comedy is the foundation of this movie. Whilst The Dark world was a serious mess and the plot was really dark and boring, this movie keeps it very light and playful. Honestly even in the serious scenes there is a slight comedic side that doesn't take away any of the seriousness. Waititi is a great comedic director having done some really great films such as Hunt for the Wilderpeople and What We Do In the Shadows. 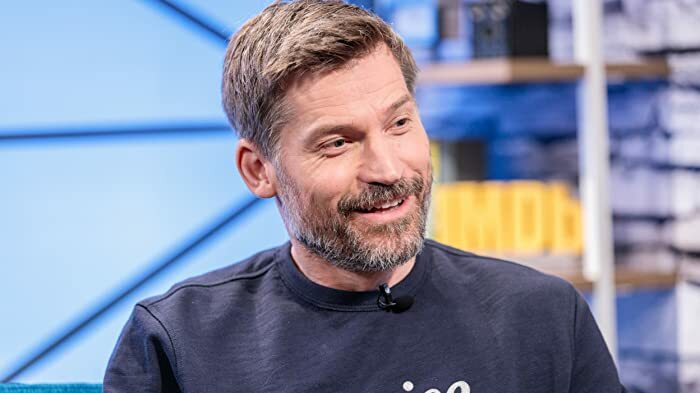 He has always thrown a bit of New Zealand humor and stupidity into all his films and it really helps to lift the tone and make it a bit lighter which really works well in this film. Honestly I would really recommend his other films as they are all beautifully done. 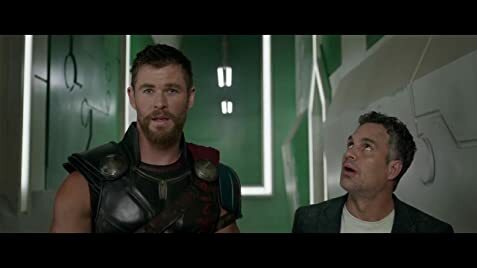 The actors who really stand out in this are Chris Hemsworth who has taken a tone shift with Thor and made him less serious and "more realistic" as a hero. Tom Hiddleston is great as always. He has not lost his gift of playing Loki well. The Two I really did not like and Jeff Golblum and Cate Blanchett. Goldblum plays a really dull, goofy character which would work well if Jeff Golblum could play anyone else except himself. All of the characters he plays in every movie are the same character and this takes me out of the film a lot of the time. Luckily he is not a main character thank god. Cate Blanchett plays a very boring baddie with no real personality or charisma. She is the "goddess of DEATH" and keeps on saying through out the movie that she is which doesn't add anything to anything. WE GET IT!!!!! you like death no can you try and have a personality. Her helmet as well is stupid as fu#k (which is just a side note of something I hated). The plot of this movie is stilted with random scenes thrown in but I still enjoyed it the story. When the plot was moving forward and the pacing was actually good then the film got a lot more enjoyable. Unfortunately it was hampered by lots of "random character" moments. One thing I really did not like is that random characters are in this for no fu$%ing reason!! 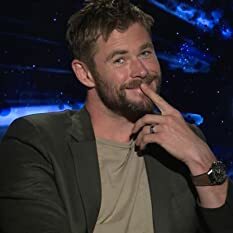 Doctor Strange is in this for 5 seconds and really does nothing to help that could not have been done by Thor or Loki. It is just a pointless scene that doesn't advance the plot and probably was a studio executive decision so that they can plug more movies. The technical side was interesting but had a little flaw. The CGI was meh with no real use other than to look pretty but that's the problem now. CGI should be used to advance the plot and not really as a "look at this" device. If you like CG more than plot and character development then good for you I guess. I loved the music in this, it fitted the lighter tone Waititi was going for and worked well. It is a lovely score of 80's synth that fits the space theme and tone and gives a sense of other world wonder. Honestly I hold music in high regard in film and this is one of the better fitting soundtracks that Marvel have done. It's mostly all score as well with only one Rock song being used to great effect in the fight scenes. The colour palet of this movie is more vibrant than the last two films as well. More neon and less dark colours make this film a lot more enjoyable to watch visually speaking. This goes hand in hand with the music and the cinematography to create something which is really good and different from most of Marvels movies. Overall this film is really good and I did enjoy it, however it was in the end another marvel movie with a few small changes and a great jokes. In a world where we have TONS of superhero films I just want one that breaks the mold and does something different from the norm. The last one to do that was Logan and I wish Thor Ragnarok had done more to fight against the Marvel plot conventions. In Valkyrie's flashback, a blonde woman is seen pushing her out of the way of a fatal attack, losing her own life. 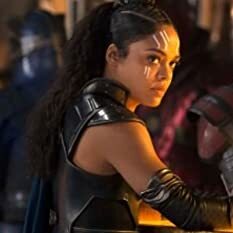 This was Valkyrie's original look in the comics.